Der Pioneer von EMU, ein Chelsea Boot erster Klasse. Das 100% echte Wildleder macht ihn nicht nur wasserdicht sondern verleiht ihm den einmaligen Look der EMU´s Schuhe um die Welt herum bekannt machte. Damit der Pioneer auch wirklich zu all deinen Outfits passt haben wir für dich eine große Auswahl an Basisfarben wie Schwarz oder Braun, aber auch trendige Farben wie Weinrot oder Mitternachts Blau. Wasserdichtes Wildleder-Obermaterial mit luxuriösem australischem Merinowolle-Futter. Merinowolle atmet und hält die Füße im Winter warm und kühl im Sommer. Wasserdichte, langlebige, strapazierfähige und biegsame Gummiaußensohle. Der Pioneer ist der absolute Star unter den Chelsea Boots, ein Upgrade für jedes Outfit. Seine Fütterung aus 100%er Merionwolle hält deine Füße wohlig-warm. Aber der Pioneer ist nicht nur der perfekte Schuh für den Winter, denn die atmungsaktive Merinowolle sorgt auch im Sommer für eine angenehme Temperatur in den Schuhen. Der praktische Stretch-Schaft sorgt für leichtes An- und Ausziehen und das sich der Schuh perfekt um deinen Fuß schmiegt. Selbst Regen kann dir mit dem Pioneer nichts anhaben, mit dem wasserdichtem Wildleder bleiben deine Füße auf jeden Fall trocken. Die hochwertigen Materialien gepaart mit höchster Schuhmacherkunst machen den Pioneer zu einem langlebigen Schuh höchster Qualität. Gönne dir jetzt ein Upgrade für deinen Schuhschrank und sichere dir diesen Hingucker von EMU Australia. Pioneer is rated 4.8 out of 5 by 96. Rated 5 out of 5 by Priya from Great warm boots I wore them everyday in holiday in Chicago, during snowy and - 19 degrees Celsius weather! They kept my feet warm, were durable enough to tackle the slippery pavement and completely waterproof in the snow. I did have to get a bigger size than usual as I like to wear socks with them. My only complaint would be the initial delivery and returns process which took a lot longer than I expected and risked me nearly missing out on having these on time for my holiday. I gave a full 3 weeks for delivery, refund and re-delivery. I ended up paying for express delivery on a new order to ensure I got them on time which I was not entirely happy about. Rated 5 out of 5 by Donna3 from Very comfortable I just tried on my new pair of made-in-Australia Emus, and they immediately put a smile on my face. 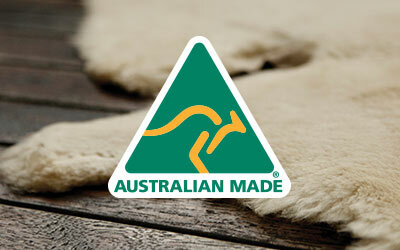 So soft and comfortable, noticeably softer than my other no-longer-made-in-Australia boots from a competing brand. The footbed seems a little narrow, but I know they will stretch, so I doubt it will be a problem. I love that they are made fully made from sheepskin rather than the wool being glued to the inside of the boot like my other boots from a competing brand. 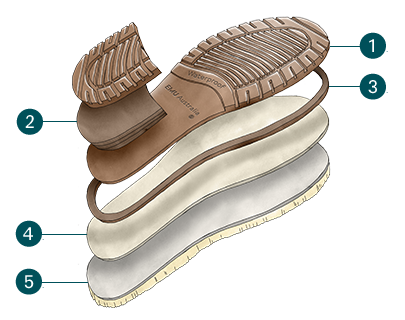 The sole is also plenty flexible and easy to walk in and more supportive than my other pair. Rated 4 out of 5 by Bootlady71 from Great everyday boot I am fairly new to Emu, my first pair was the shoreline and I wanted to get another pair. I had originally ordered the roadside but found them too wide across the top of my foot so had to return. I choose the pioneer as they looked a more slim line boot and they were waterproof. I ordered a size 5 as many of the reviews said to go up a size. After the sheepskin lining had adjusted to my feet I found them a little big but have just replaced the insole with a slightly thicker one and thy now fit well. I have walked all day in these boots and they remained comfortable, with them being waterproof here is no worries if the weather changes. Rated 5 out of 5 by Janter1 from Great quality Arrived quickly and good fit, have to wear them a day to flatten inside and feel less tight. Lovely and cosy. Expensive but worth it, you get what you pay for. Rated 5 out of 5 by JessicaS from Truly is waterproof! I bought these boots for the purpose of using in the snow for a trip overseas. I was pleasantly surprised that these suede boots truly were 100% waterproof. After hours of walking through slushy snow they still look new. Also super warm and comfortable. Love them! Rated 5 out of 5 by NorCalSpaniard from Best boot ever I have to write a review. I bought a pair in dark red last winter and wore them all over Europe during an extended trip. Warm, waterproof, and comfortable for walking 15,000 plus steps per day. I love them so much I bought them in black, and also bought a backup pair in each color for when they wear out because I have tried so many boots over the years and none are as good as these. My feet are always cold and I walk a lot, nothing else has ever matched them. I am usually an 8.5 and the 8 in these fit fine. Rated 5 out of 5 by Emilie from Beautiful boots I bought these boots before a trip to Russia as they are both waterproof and super warm. Best purchase I've ever made! 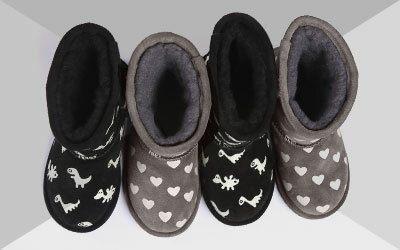 Very stylish, immediately comfortable without having to break them in, warm and decently priced. Fabulous and highly recommended!